If you are starting AbtracOnLine live after a trial, or if you are converting from Abtrac5 your username will have been automatically generated using a combination of first+last names+company name. These temporary usernames will need to be updated to current (valid) email addresses. 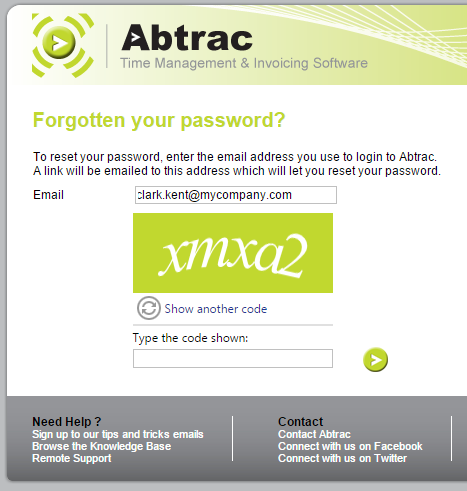 Your username is used for the password reset feature and also as your sender address when emailing items from Abtrac. Checking your username is a current email address ensures that these features work as expected. From Home choose > Change Login Details. At the Change Login Details screen you can edit your username(email address) or password, or both. Once a change is made you’ll be automatically logged out of the system and will need to log back in with your new credentials. If you are new to AbtracOnLine then whilst updating your login details you may also want to check your settings in User Specific Settings. Here you can update the email Bcc address in Abtrac. This is not related to your login and can be a different email address to your username (e.g office@mycompany.com etc – as such it will not automatically update) It is used to send copies of any invoices/reports emailed from Abtrac. From User specific settings you can also specify the ‘page size’ – that is how many rows are displayed in all tables in Abtrac – just for your login. Instructions are here. 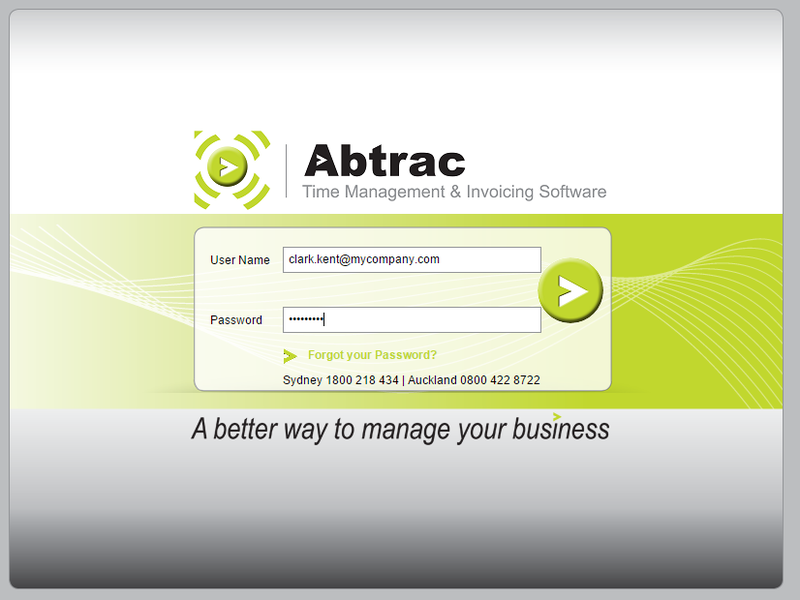 If you are getting started with AbtracOnLine, or converting to the cloud from Abtrac5 you may wish to update usernames and passwords for all staff at an administrative level. From Home choose Administration > Employees > Users. An administrator can then view a list of all current employees and logins (usernames) and is able to edit records as required. Employee Logins are only available for current employees, once an employee is non-current you cannot create or amend a login for them, and they are unable to login to Abtrac. N.B. Although the password field is blank in the Edit User screen the Employees current password will apply. Entering a new password here will overwrite any pre-existing password set by the user. Provided your Username is a valid email address you can reset your password directly from the Login screen with the Reset password button. Abtrac passwords must be at least 7 characters long, and contain a combination of upper/lower case letters and at least one number. You’ll be sent an email with a temporary password to login and will then need to update your password from User Specific Settings Screen > Change Login Details as usual. This entry was posted in Administration Settings, Employees, General, Getting Started and tagged login, password, security by Jen. Bookmark the permalink.